We had our antenatal class today, a little later than planned due to our previous class being cancelled so out of everyone I was one of the most pregnant. The class covered a variety of different things including pain relief, birthing options, signs of labour and a little on what to do when the baby arrives. I did find it a little useful however most things we had already been told or had read about by this point. It was nice to go and meet other mums-to-be in our local area though and to find out more about the services offered by the Sure Start Centres once the babies are here. 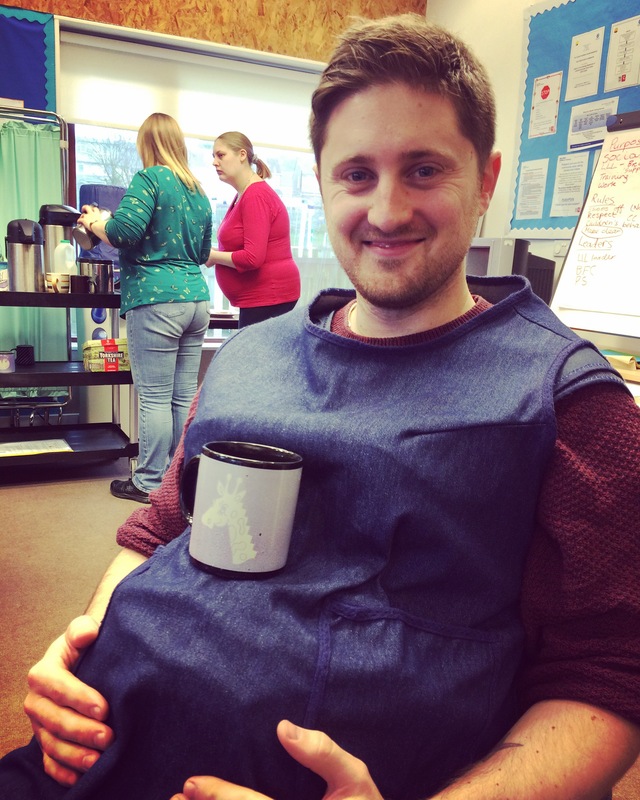 Chris was also made to wear the fake baby bump which was amusing! Previous 36 weeks…come on baby!